Your wedding is the day you've been waiting for your entire life. 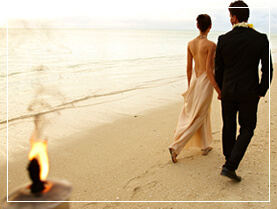 Planning this monumental event is exciting, and you've surely thought out every detail, considering everything from modern trends to your own unique tastes. Planning you day just the way you picture can be quite the task. Luckily for you, Sacramento hosts an array of different and unique options for your ceremony and reception. On your big day, you want to work with people who have experience in the field and know how to make everything run smoothly. On this website you'll find a directory of some of the finest Sacramento area businesses that specialize in turning a regular ceremony into a luxurious, remarkable and unforgettable event that gives you monumental memories to last a lifetime. You'll find vendors that can cater to any style and budget, so you can plan your Sacramento dream wedding! 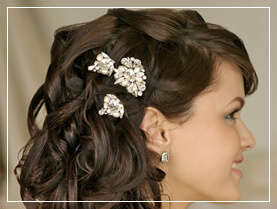 Trust Sacramento Wedding to give you a multitude of distinguished and trustworthy vendors that will make everyone happy. Whether you're planning your bachelorette party, trying to find the perfect gown, or looking for a mouthwatering cake, we've got you covered. You don't want to give over your trust to someone who is just looking to make a buck, you want to find experienced and dedicated wedding vendors who truly care about your big day. Here you'll find tips and vendor recommendations for everything from DJs and bands to cakes, makeup and hair, venues, photographers and videographers, florists, and much more! We've left no stone unturned while searching for the best vendors in Sacramento! 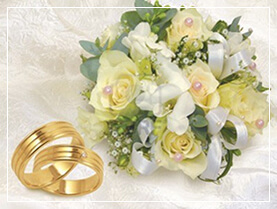 With Sacramento Wedding on your side, you can assure that your day will go exactly as planned. Even if you have the most traditional tastes, you can't go wrong with including some of the most modern trends in your reception decor. Up-dos, down-dos, beach waves, veils, caps - however you want to style your hair, you'll surely find the perfect stylist to get you ready. Whether you're choosing a planner or doing all the legwork on your own, we've got the tips and ideas to help you along the way. Choosing your vendors can be fun but it's also the most time consuming party of the planning process. But it's time that is very much worth it! After all, you don't want to just leave the details of your most important to day to just anyone! You want the best. 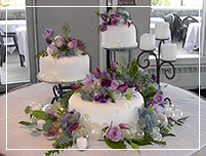 You want to find those who can provide the very best so that everything from your gown to your flowers to your cake is exactly as you've always dreamed it would be. For such an important day, you'll want to leave no stone unturned during the planning process. There's many things to consider when choosing your vendors. You'll want to do a bit of research to learn about each and get an idea of their reputation so you can choose from options with good reputations. This can be a tedious process, but the idea is that in the end you'll have list of reputable companies to choose from! There's a lot of ways to do this, from checking online to asking around with people you know. This should leave you with a list of local vendors to choose from. Don't overwhelm yourself, but make sure you give yourself a couple of options for each. From there it's time to make some calls and send some emails to get an idea of pricing and availability. When it comes to making appointments, what you request will depend on the type of vendor. For makeup and hair, you'll want to set up trial appointments. For things like linens, chairs, and dinnerware, you'll want to set up a time to view their inventory in person to make sure what they have to offer looks as nice as the photos on line - you can likely find a company that will provide all or many of these items. For food vendors like bakeries and caterers, setup tastings - the cake tasting is always one of the best parts of planning! After all of this, you should be able to find vendors that meet your needs and your budget, especially with all the amazing options here in Sacramento! Our aim here is to make the search process a little bit easier. As you can see, we've compiled Sacramento's best vendors, including caterers, photo booth rentals, photographers, videographers, transportation companies, bakeries, DJs, florists, venues, bridal salons, jewelers, and even vendors that specialize in bachelorette parties. We've only included the most reputable companies with the highest quality services here, so you'll be pleased with any of them! © 2018 | www.sacramentowedding.com | All rights reserved.